In today's environment of instant gratification, it's rare to find a group that hangs on to their dream--for 10 years to be exact! In 2005, the Community of White Earth began the planning process with West Central Initiative to become an Early Childhood Initiative community. "Our children do not have access to books" was heard over and over again as community members weighed in on their concerns. The coalition, who at the time was under the leadership of Mary Leff, quickly provided a quick fix by handing out books at every event possible and stocking a small library at the White Earth Child Care program. The plan evolved when the group was able to purchase an older Bookmobile and renovated it to serve the group's needs, driving the mobile library to the different communities within the Reservation. But with all older vehicles, the Bookmobile was susceptible to breakdowns and was difficult to operate in the winter months. 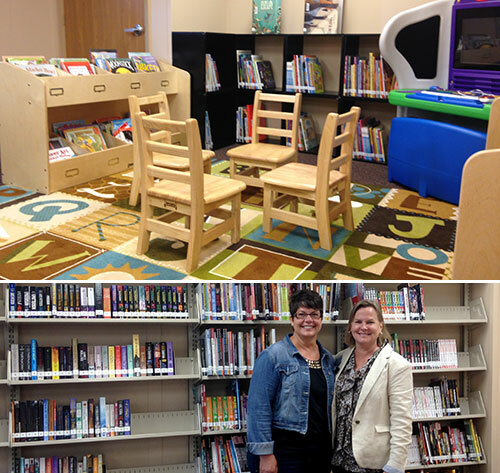 Now under the coordination of Terri Darco, the White Earth ECI was able to apply and receive a federal grant, and with the help of the Northern Lights Library Network, took the initial steps of setting up a public library. The ECI ran into a few snags, but continued with the concept of "Free Little Libraries" throughout the Reservation. Now 10 years from their initial planning, the doors of the White Earth Public Library will welcome children soon!